ESCENTUELLE offers: Compose-Your-Own Perfume Sessions; Ready-made eau de parfums for women and men; Essential oil blends; Naturally scented body lotions, scrubs and oils; Gift certificates for perfume sessions. Compose-Your-Own Perfume at a Signature Fragrance Creation Session: Have you ever dreamed of stepping into the shoes of a French perfumer and making a scent that fits you perfectly? One imagined by you, and exclusive to you? Well, there's no need to hop a plane to Europe. 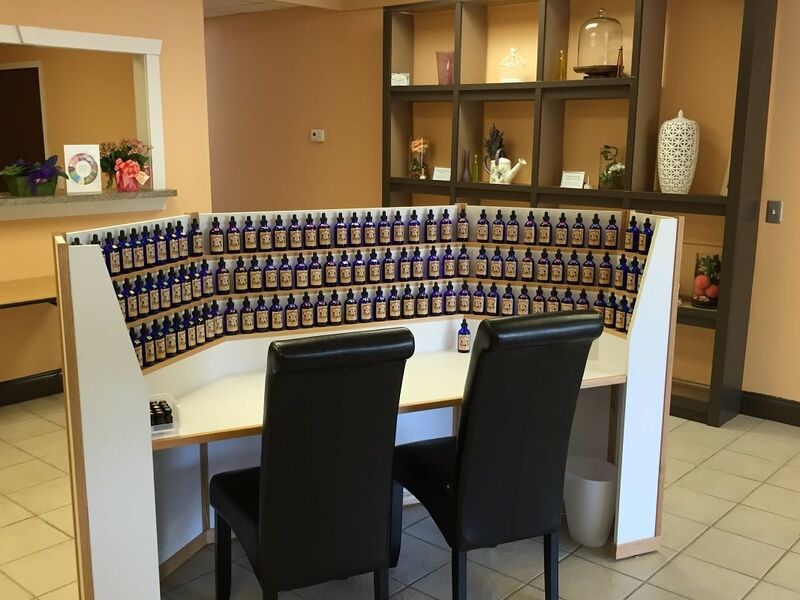 At ESCENTUELLE Signature Fragrance Creation studio they bring the custom French perfume experience to you! Trained by master perfumers at Galimard—France's oldest perfumery—Carolyn Hassett, Owner and Scent Artist, brings her knowledge and love of blending to the most discerning of customers in her downtown Cary studio. During your session, Carolyn guides you to the most appropriate essences for the fragrance you have in mind from the 127 eau de parfum accords from Galimard on the perfumer's organ (the perfumer's workstation). From testing strip to bottle, you choose each note to add—from base, to heart, to top—building the creation of your dreams. And once you've named your own special scent, your formula will go on file for easy reordering.